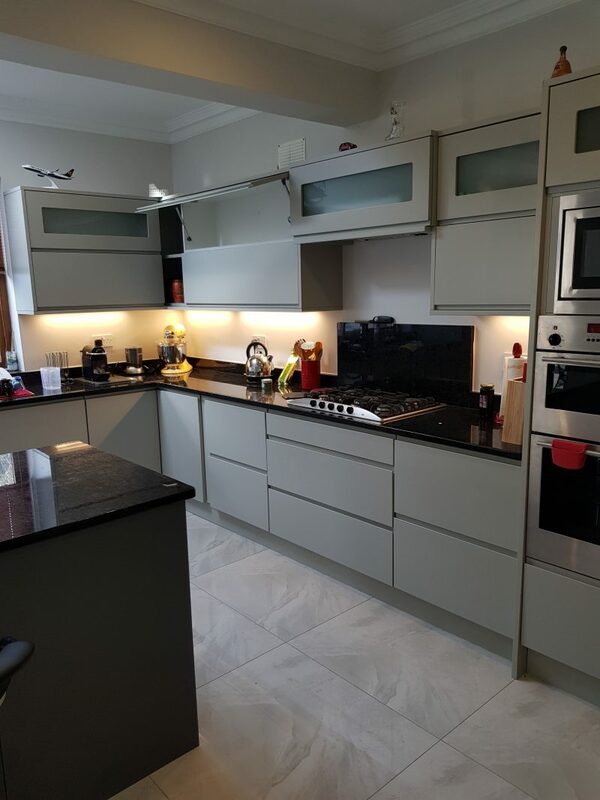 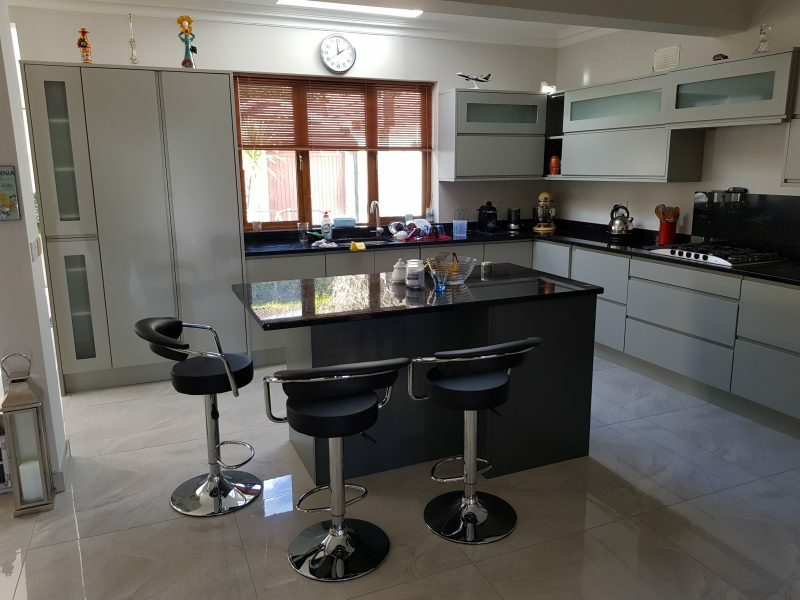 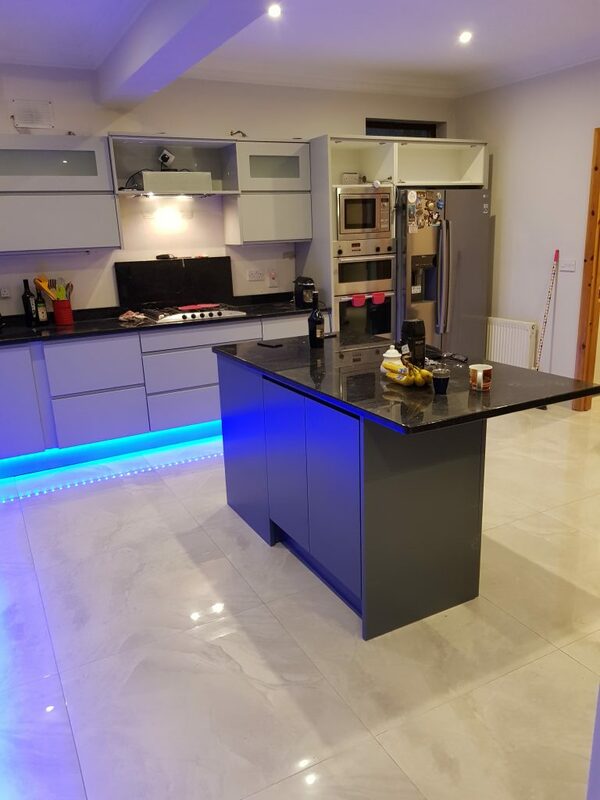 My client gave me the brief to modernize the kitchen while keeping the granite worktops. 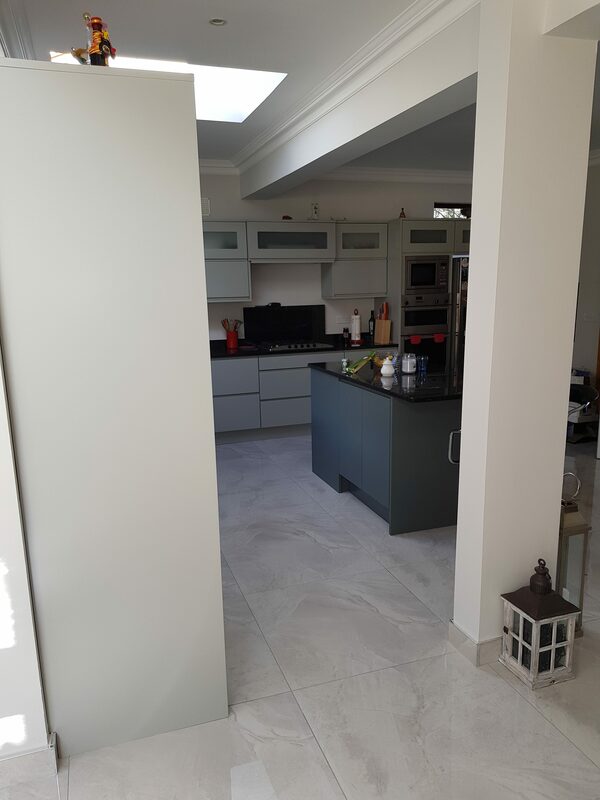 I decided to go with a Painted handleless modern kitchen and add some new units to the existing layout. 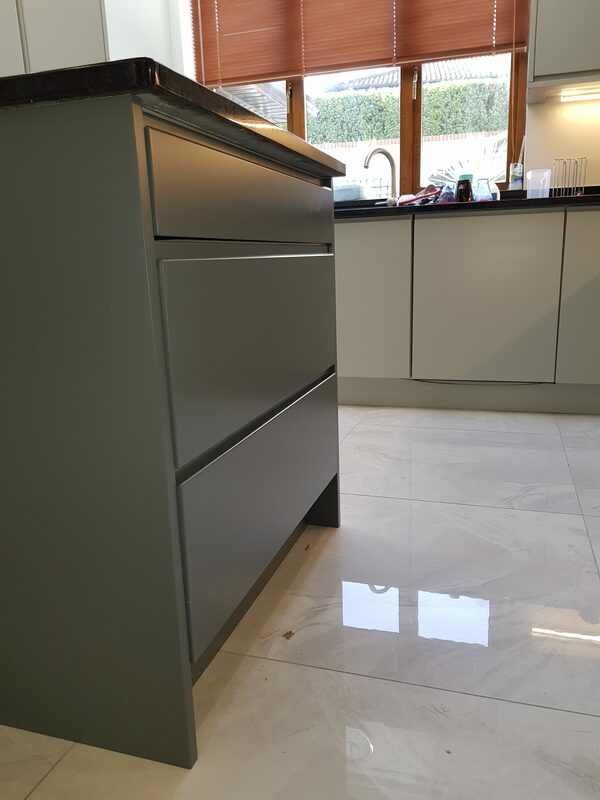 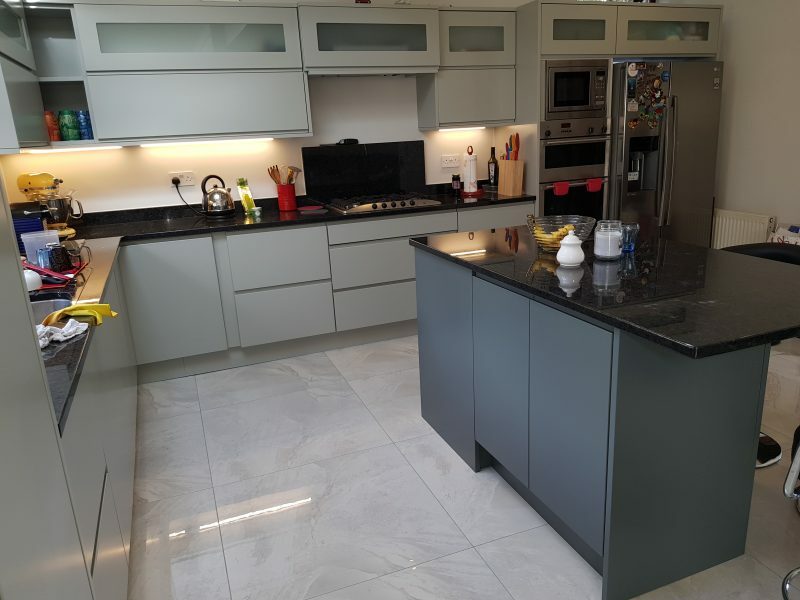 I picked farrow and ball colours -lamp room which is the light grey and down pipe which is the contrast in the island which ties into the polished porcelain 800×800 tiles which look really great in the sunshine. 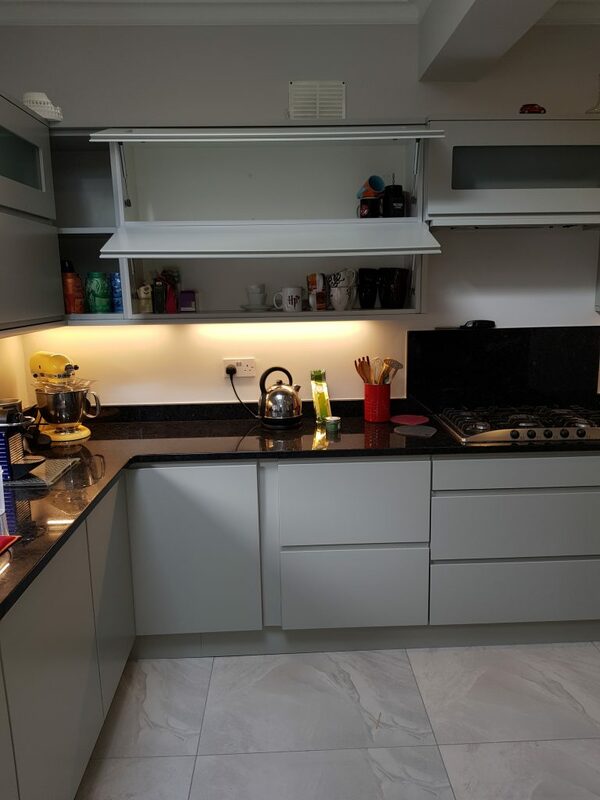 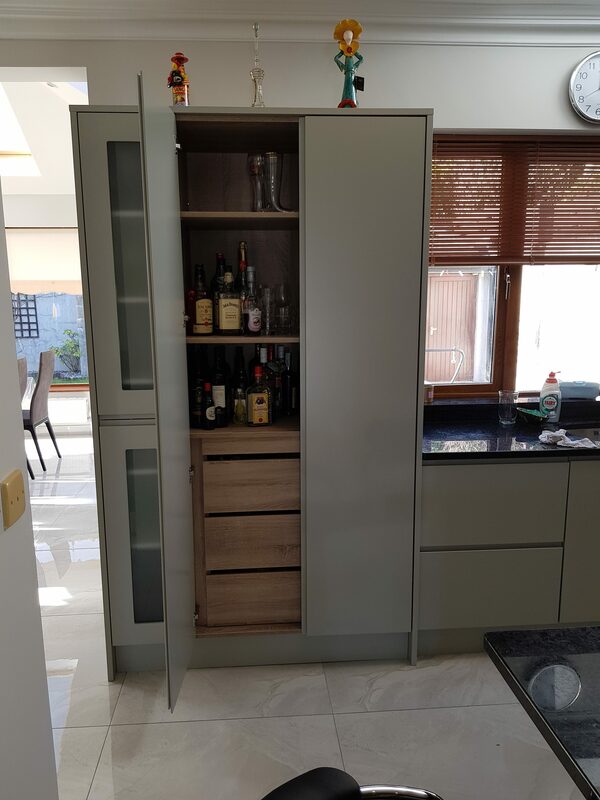 A new oven housing, fridge box, drinks cabinet and wall units were added with drawers added to the existing base units to make better use of the storage. 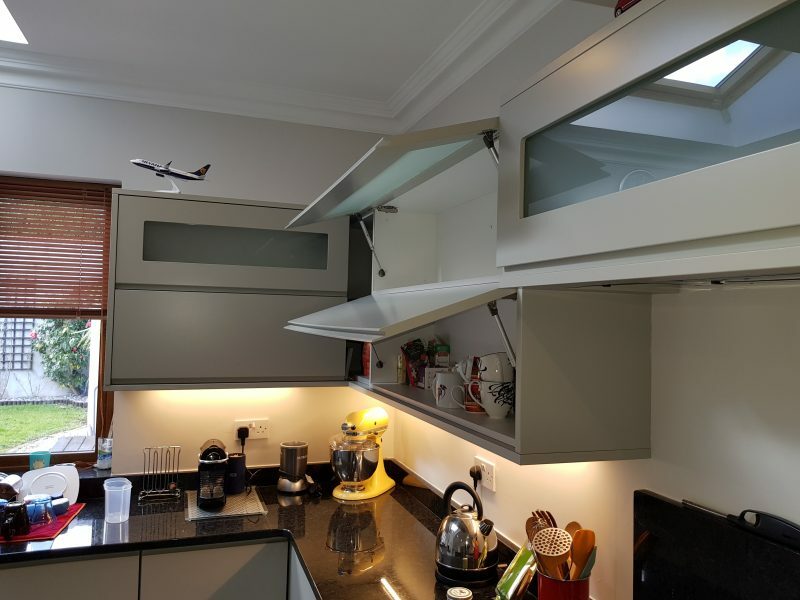 The wall units use gas piston stays to hold the doors up when you open them and all soft close throughout the kitchen. 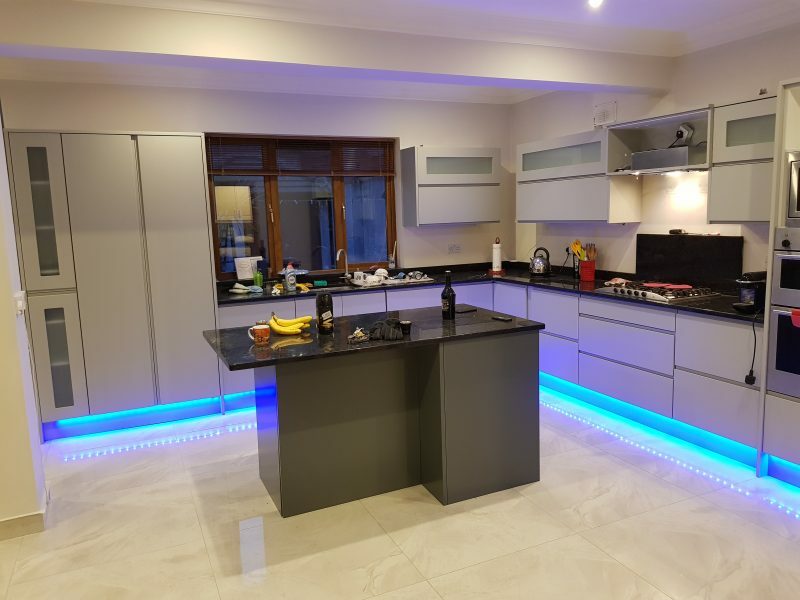 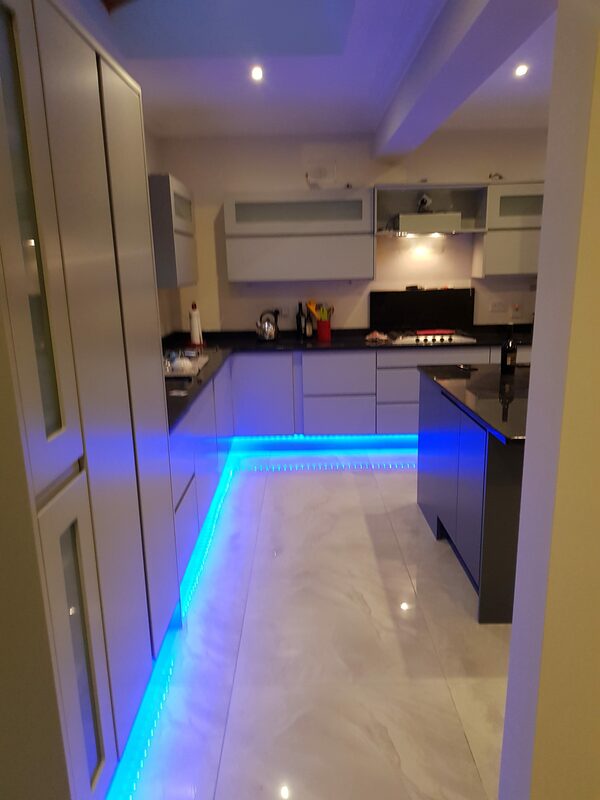 There is frosted glass on the top run of the wall units with led lights on the kickers that can change a range of colours.